Pewter Stable is currently reserving spots for our partnerships forming soon for two-year-olds of 2019. 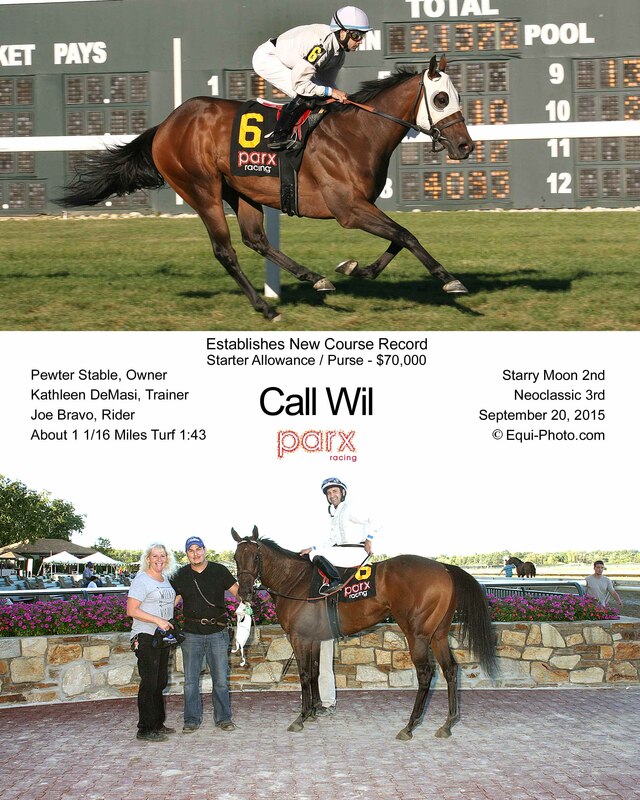 Congrats to Pewter Stable's Winchill, who just had his first winner in the 1st race today at Parx Racing! Stakes winning Winchill (Tapit) stands at Timber Ridge Farm in Felton, Pennsylvania for $2,500, with special consideration to mares foaling in PA for PA BREDs. 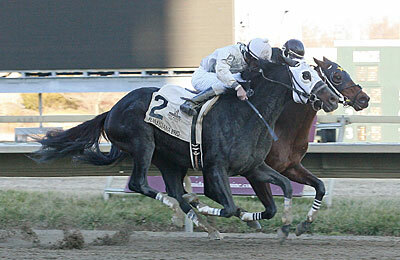 Pewter Stable's bred and raised Cosmic Burst is now a Graded Stakes winner. 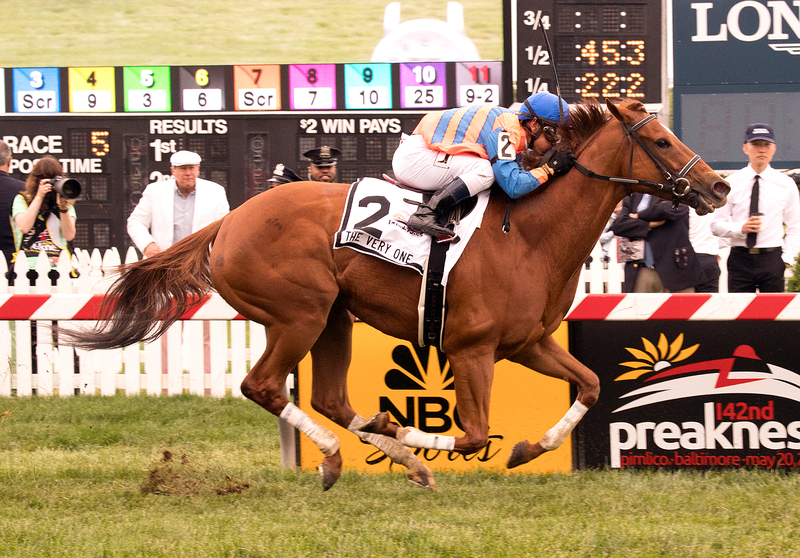 EVERYTHING LOVELY was prominent from the opening bell when speeding to victory in the 18th running of the $100,000 The Very One Stakes (race 5), the first of eight Preakness Day stakes on Saturday at Pimlico. 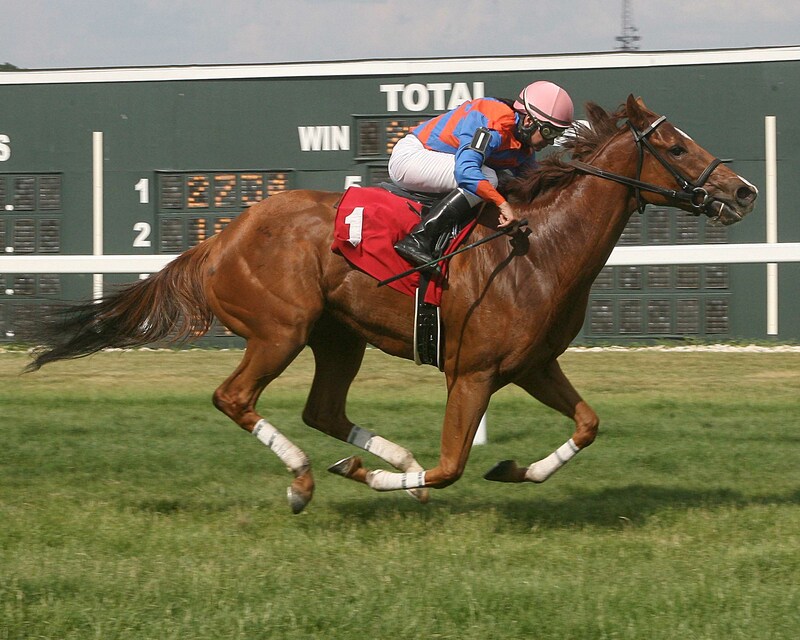 Everything Lovely, a 5-year-old Maryland-bred mare, finished the five-furlong distance in 57.93 seconds over a turf rated good. 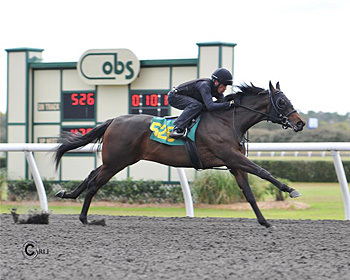 OLDSMAR, Fla. – Last year, trainer Kathleen DeMasi won the allowance prep for the Lightning City Stakes with Joya Real, but the mare could only finish fourth in the stakes race itself. This year, DeMasi is hoping for a better result after Everything Lovely’s impressive win last Saturday in the prep for the $100,000 Lightning City. Pewter Stables trainer Kathleen DeMasi entered three horses in the $61,200 Blue Sparkler Stakes at Monmouth Park on Sunday, but scratched two of them and in the end needed only Joya Real, who won the about 5 1/2-furlong turf sprint for fillies and mares for a second straight year. 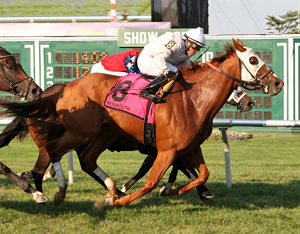 Joya Real, ridden by Frankie Pennington, won the Blue Sparkler Stakes for the second consecutive year at Monmouth Park. 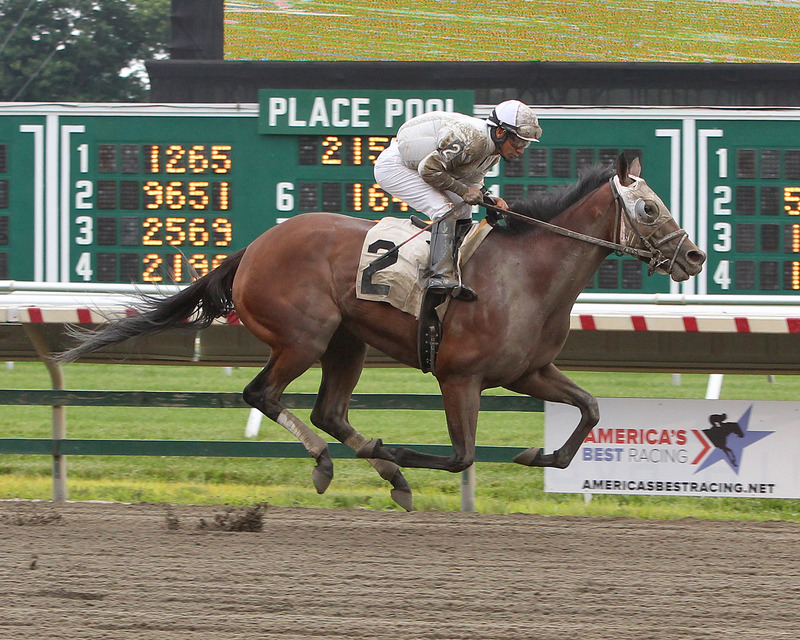 Joya Real, ridden by Frankie Pennington, won the Blue Sparkler Stakes for the second consecutive year at Monmouth Park on Sunday. Joya Real, now 7, rallied from well back to win the Blue Sparkler in 2015, but raced much closer to the pace Sunday. 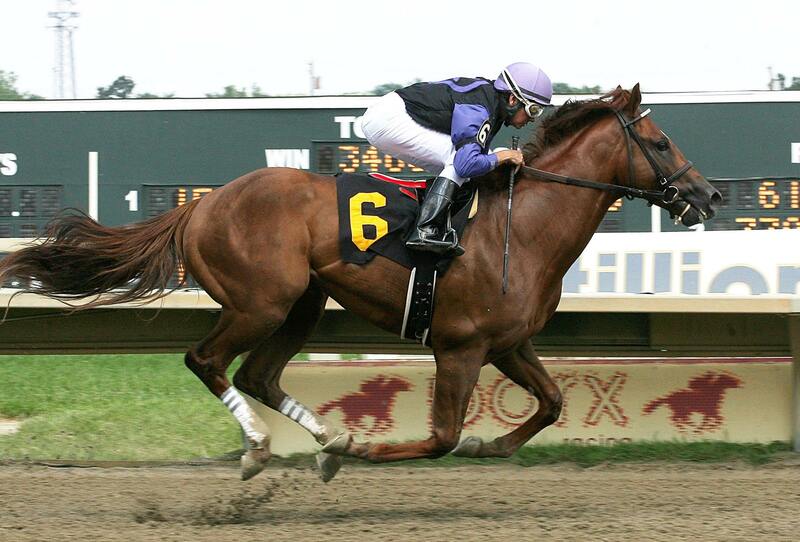 She has now won a stakes at Monmouth in three straight years, with her other win coming in the 2014 Fort Monmouth. 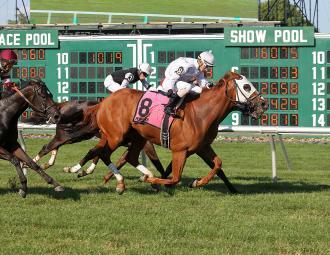 Joya Real, who is based at Parx Racing with DeMasi, is now 4 for 7 over the Monmouth turf. "We’ve had this race picked out for her the whole time," DeMasi said. "She really likes this track." Demasi said Joya Real would likely make her next start in the $200,000 Turf Amazon, a five-furlong turf sprint at Parx on Sept. 5. Entering the stretch, jockey Frankie Pennington took Joya Real to the outside. Joya Real took a short lead nearing the sixteenth pole and then held the advantage to the wire. Joya Real paid $11.20 to win as the fourth choice in the nine-horse field. She was timed over firm ground in 1:02.89. 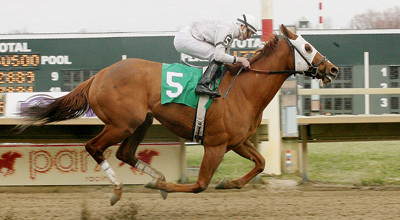 Owned by the Pewter Stable, she is now 10 for 29 in her career with earnings of $450,999. Pewter Stable’s Joya Real found room between horses late in the lane and with a quick turn of foot pushed past her rivals to capture the $60,000 Blue Sparkler Stakes at Monmouth Park on Saturday afternoon by a neck. Joya Real stepped the 5 ½ furlongs over firm turf in 1:01 4/5 and returned $5.40, $3.80 and $2.60 as the favorite in the field of nine fillies and mares. 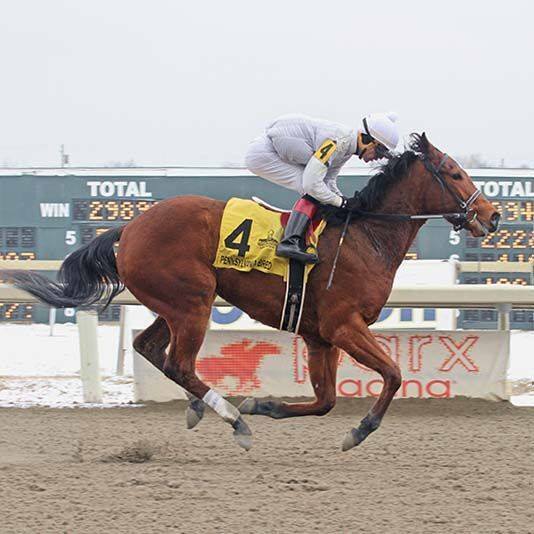 “I’ve never ridden her before, but based on her past performances it looked like she did her best when coming from off the pace,” said winning jockey Roberto Alvarado Jr. “I just let her get out of the gate and settle where she wanted. 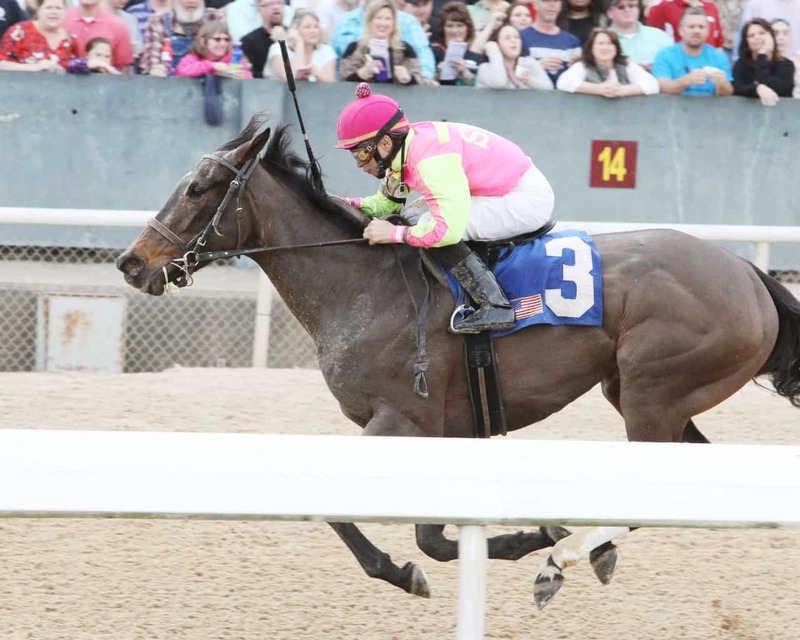 Turning for home I asked her, the hole opened up, and she just exploded the last part of the race.”A 6-year-old daughter of Eddington from the Regal Classic mare Regal Locket, Joya Real has a record of 8-6-3 from 23 starts, good for earnings of $339,149. .All of which came after being claimed by Pewter Stable for $25,000- out of a maiden race. his rider never had to ask him cruising to a easy 5 length win. in her first race off the claim by Pewter Stable. of strong acquisitions made by Pewter Stable this year. Purchased by Pewter Stable and Armand Dellapeirrie as a 2 year old. 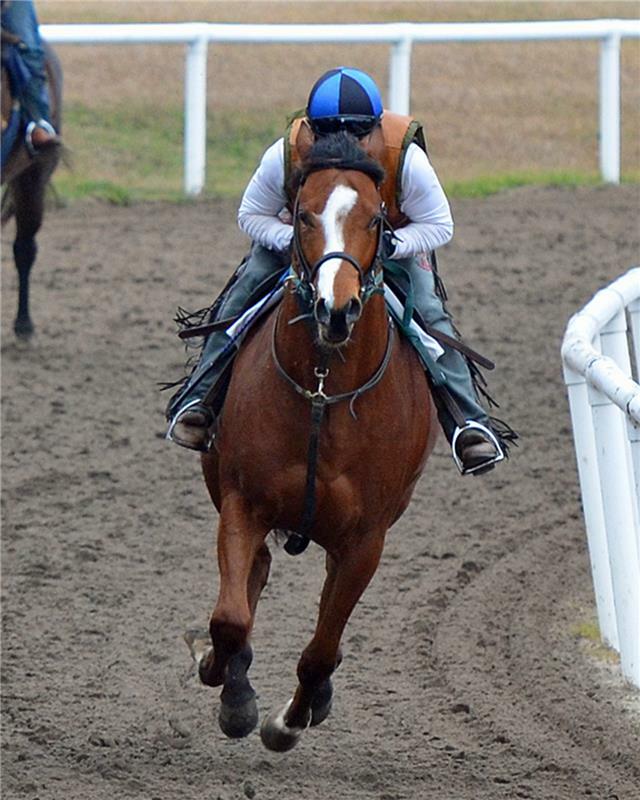 Everything Lovely is Stakes placed and has won or placed in 6 of her 7 starts. Race was run in a course record setting time. Please check out our most recent purchases at our "Partnership Offerings" page. Pewter Stable and horses running in partnership with Pewter finished the year as leading owner of earnings at Parx in 2015. Pewter was also among the leading stables nationally as well.